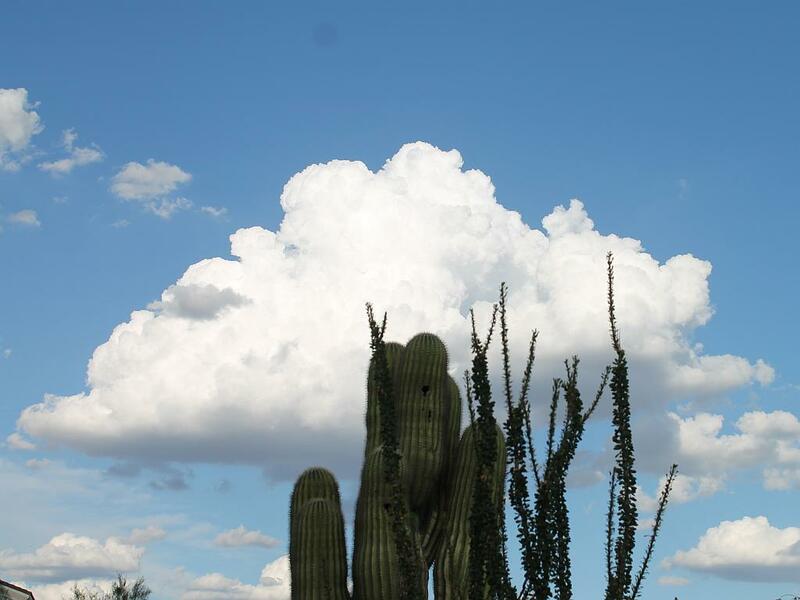 Verna took this photo today of some cumulus clouds building up east of us with the big saguaro and ocotillo in the foreground. We have been getting storms since Thursday of this week and expect them to continue until Monday according to the National Weather Service. This evening, we are surrounded by thunder cells with lightning very frequent. We were out in the courtyard a few minutes ago when the International Space Station passed overhead and visible to us through the gaps in the clouds. Very entertaining!